I had a very busy day today. 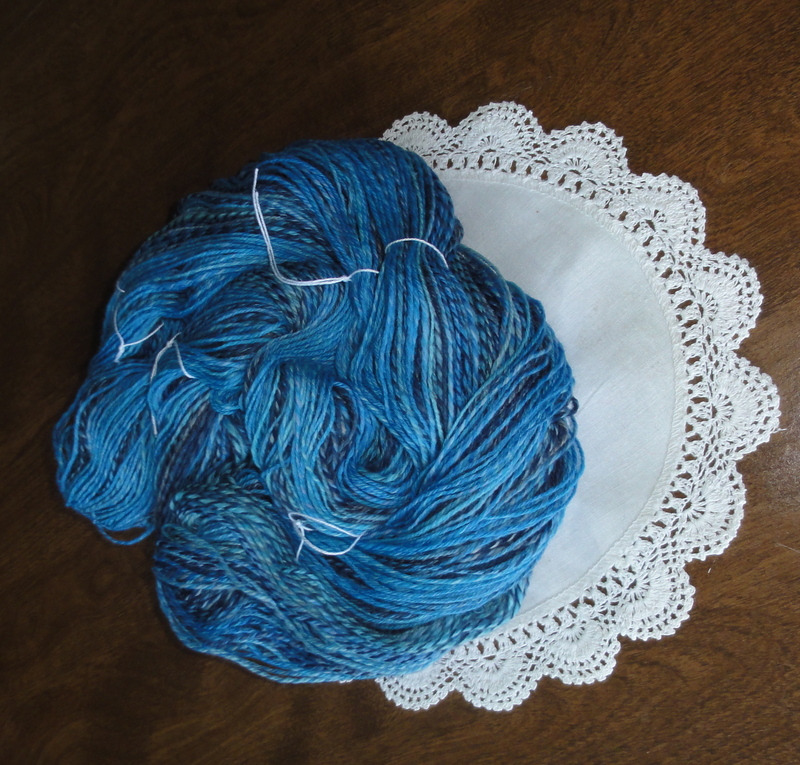 I plied the pretty blue Merino. 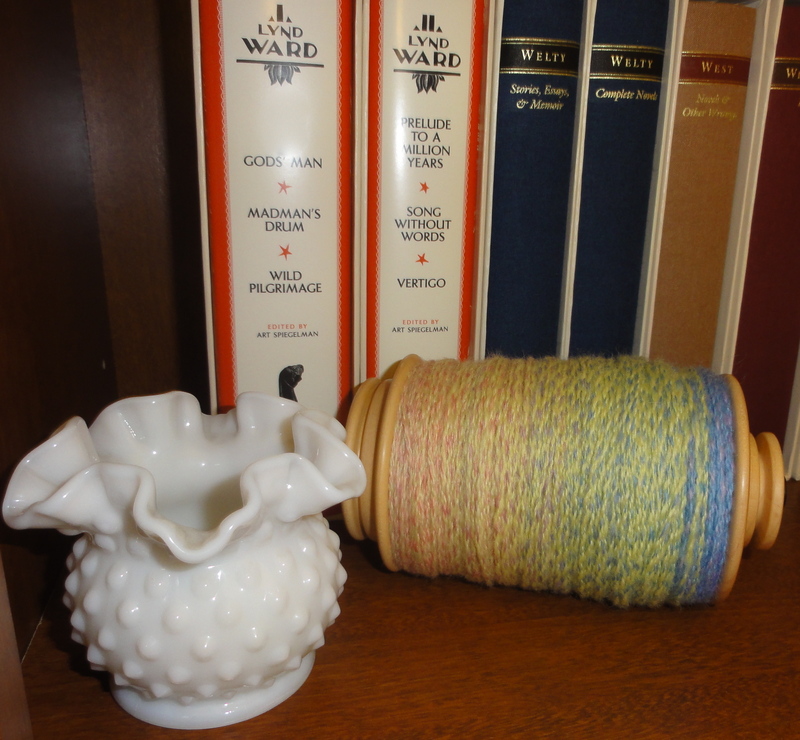 Then I bit the bullet and cabled the BFL. 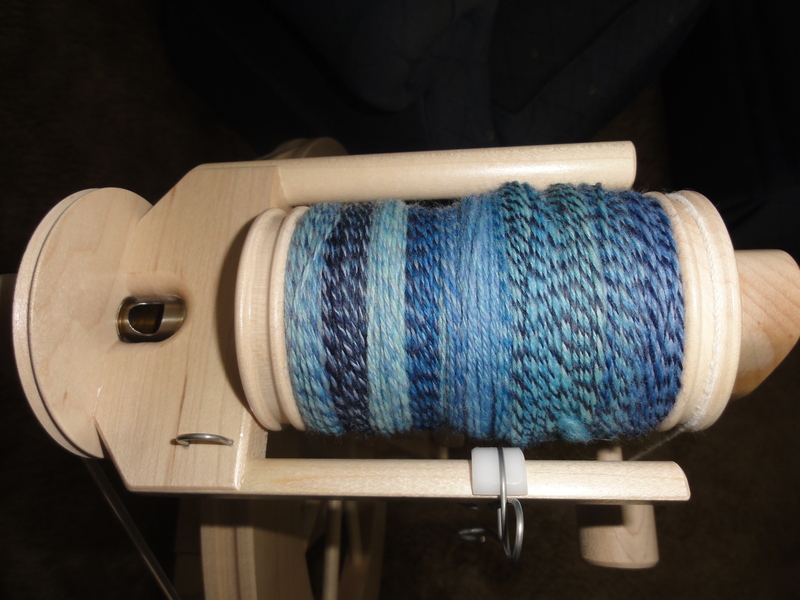 I also spun a bit more of the lovely alpaca-Merino blend. I think I am finally starting to put a dent in the ginormous ball of roving. 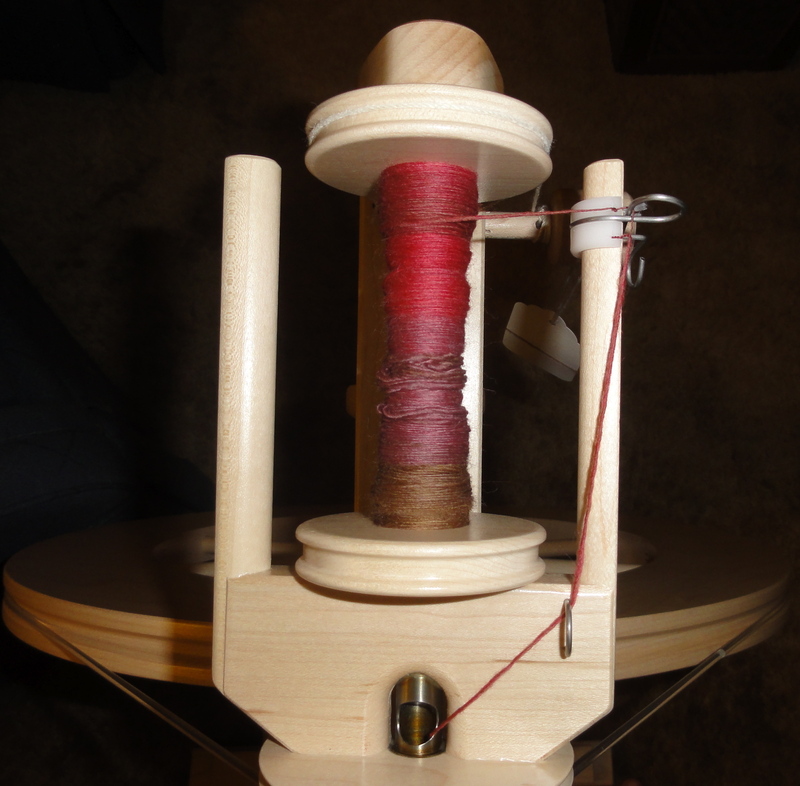 Finally, I got some more fiber in the mail and I couldn’t wait to start spinning some of it up. I chose this lovely Polwarth braid from Sunset Fibers in the Berry Crumble colorway. 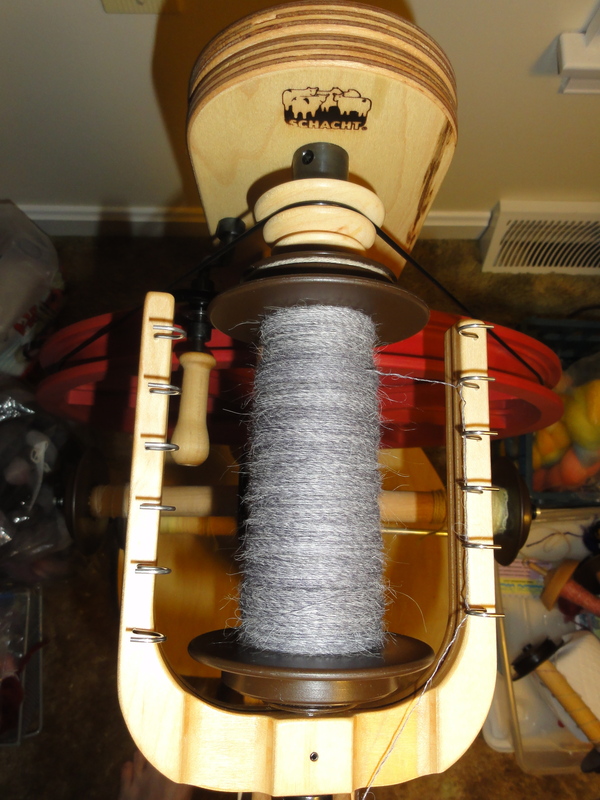 It is spinning up quite nicely on the Lendrum. Tomorrow promises to be another day full of spinning fun. 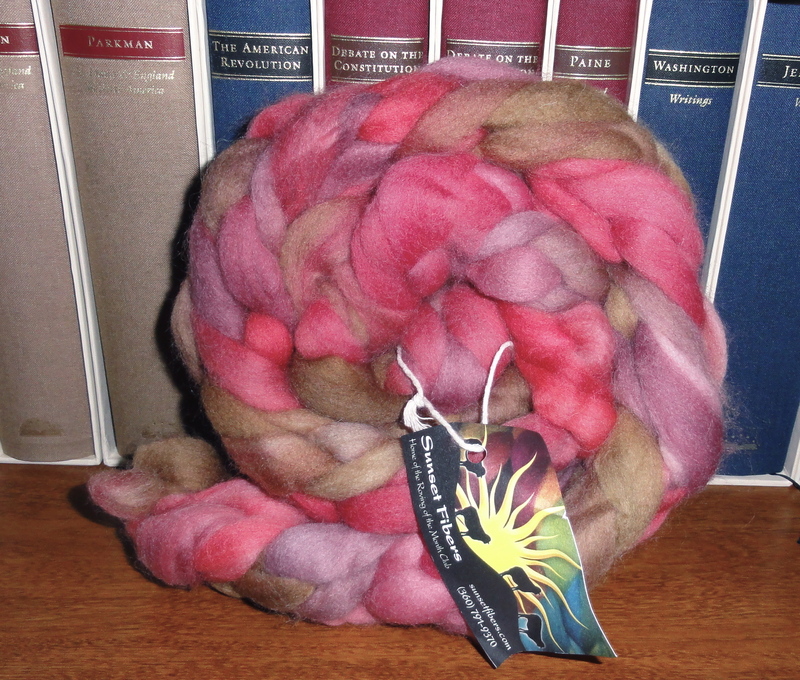 This entry was posted in Spinning and tagged BFL, hand spinning, handspun yarn, Lendrum spinning wheel, Sunset Fibers, Tour de Fleece. Bookmark the permalink.